Creating a grid layout for your blog is a great way to organize your posts. Divi makes this extremely easy with the Blog Module. In just a few seconds you can deploy a functioning blog grid layout to your page. And you can even utilize the many design settings to customize the look of your blog grid in many ways. But today, I’m taking things to another level. In this tutorial, I’m going to show you how you can create multiple background layers to frames your three-column blog grid with a beautiful and symmetrical design. Hopefully, you can use these design techniques to create a blog page guaranteed to impress. Here is a sneak peek of the design. 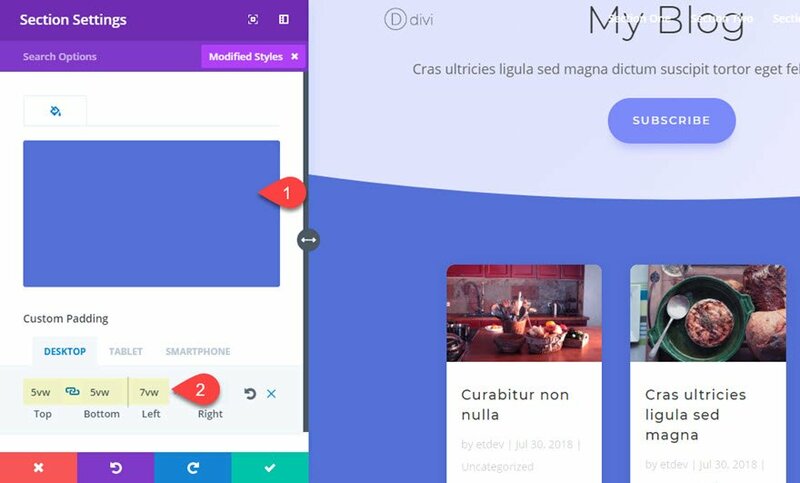 All you need is Divi for this tutorial. 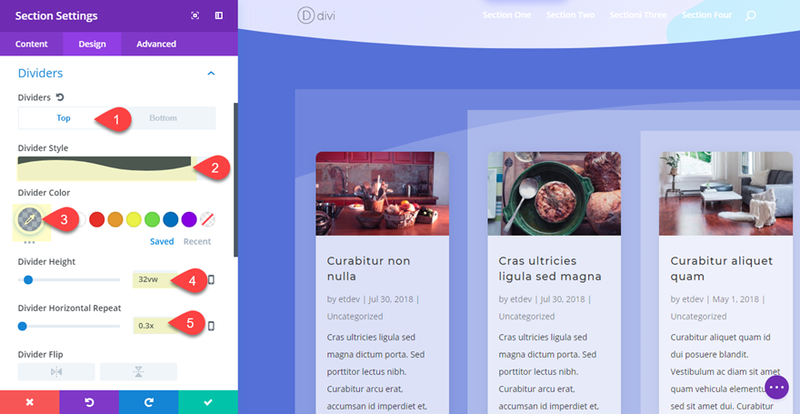 Once you have the Divi Theme installed and active, create a new page and give you page a title. Then deploy the Visual Builder. 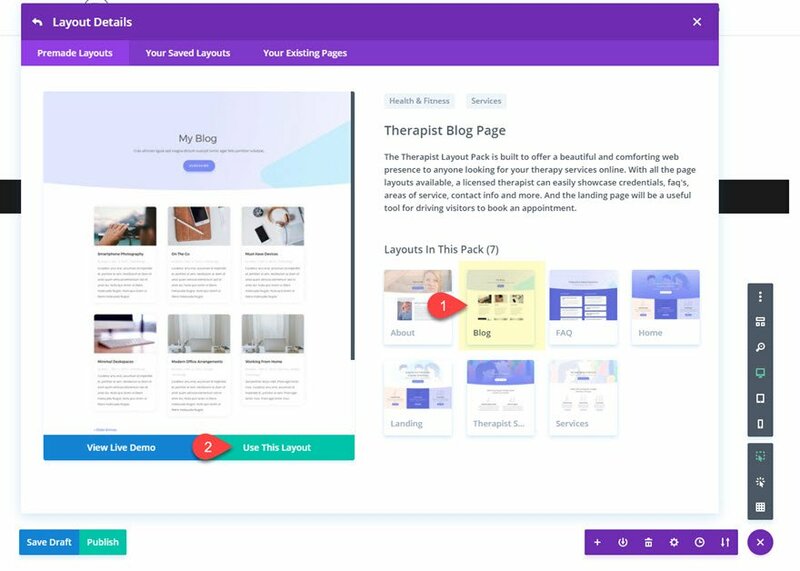 Select “Choose a Premade Layout” and then upload the Therapist Blog Page Layout to your page and publish it. Make sure you have at least 6 blog posts with content and featured images. If you don’t, the blog posts will not show up on the page. Now you are ready to start editing. The custom 7vw left padding basically offsets the content of the section (the row) for a unique look. If you want everything nice and centered for you design you can leave that out. The second and third background layers will be created by adding a background color to the whole row and then a background gradient to the column within the row. Notice that I’m using a white color with 30% opacity in order to create a consistent degree of white overlay colors that allow the blue section background to show through. As each color overlaps, the user sees a 30% lighter version of the blue section background. This way if you ever want to change the color scheme of the layout, all you will have to do change the section background color. Setting the column gradient start position to 33.3% ensures that the gradient will divide right between the first and second column of my blog grid. But this won’t look correct initially because we still need to give our row a custom width of 100% among other things. The custom padding exposes the layers vertically to add to the overall design. This is where everything falls into place. The fourth and final layer will be a background gradient added to our blog module. Then with the exact spacing added, the blog module will align perfectly with our background layers. I’ll also be adding a few style tweaks to the blog cards to add some final touches. To add the background gradient, you can go over to the row settings and copy the column 1 background gradient and then come back to the blog settings and paste it in using the right click options. As you can see the 4% length value is used throughout to give equal spacing to our design. And there is more to this 4% value than meets the eye. If you remember, we set our row to have a custom gutter width of 4. 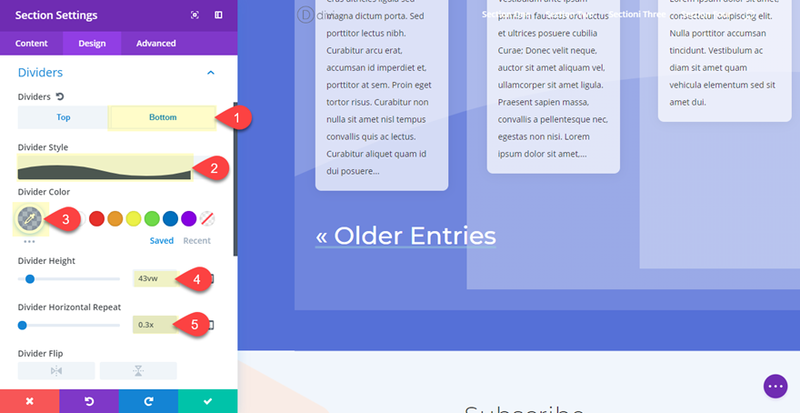 In Divi, if you add a blog module with a grid layout to a row with a 4 gutter width, your blog grid columns will be horizontally separated by 8% of margin. So, adding the 4% of left and right padding to the module will create the exact spacing we need. At this point, we are done with the background design. Check out what we have so far. Now all we need to do is add a few final touches to the blog module. If you want to give your design a bit more texture, you can add divider backgrounds to your section. 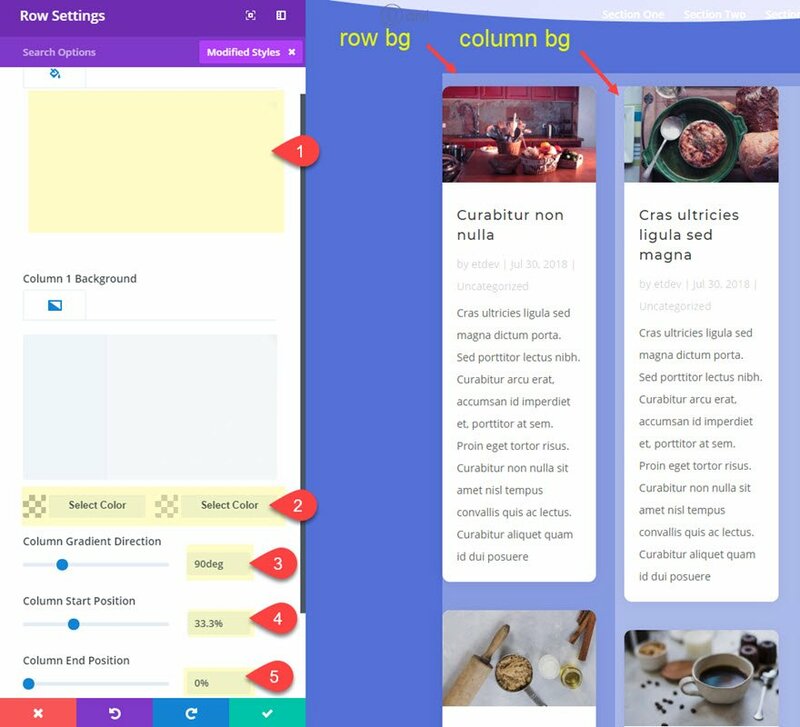 The layers that frame the columns of the grid scale perfectly on all desktop browser sizes. Although the background layers will not adjust for two columns on tablet and one column on smartphone, the result is still very symmetrical and provides a subtle broken grid design that works well. 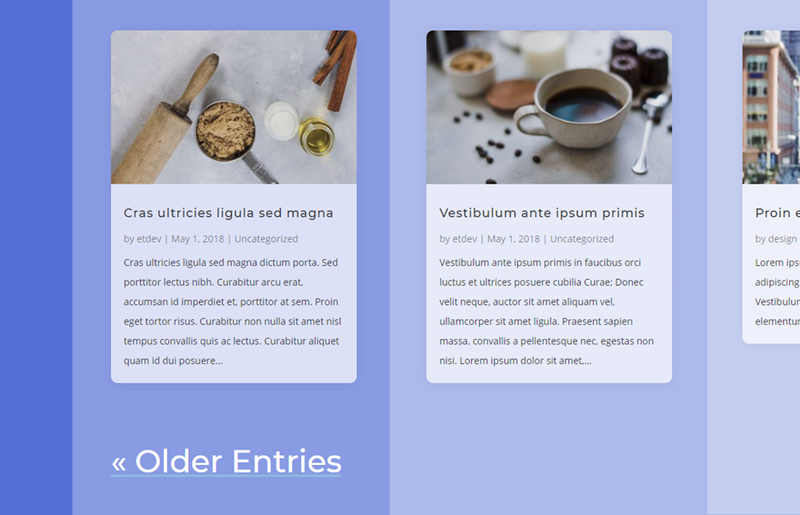 This layered background technique is really a way to create the impression of having three column backgrounds where there is actually only one column (since the blog module sits in one column). 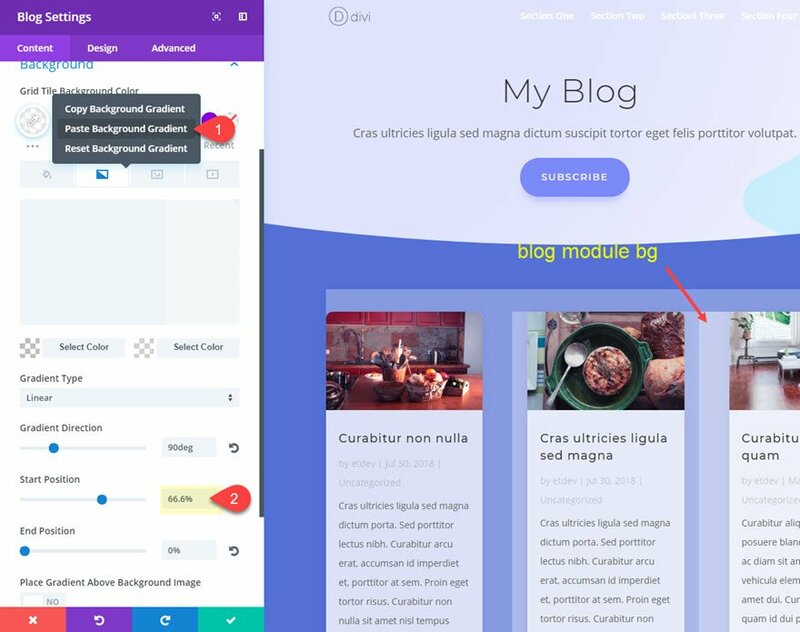 Sure this is possible to do in custom CSS at the blog module level, but I thought it would be more helpful to give a creative solution using on the Divi Builder. And variations of the design can be used as a backdrop of other content as well. I tried to explain the reasoning behind some of the styling used in this tutorial, but if you have questions, I’m all ears. 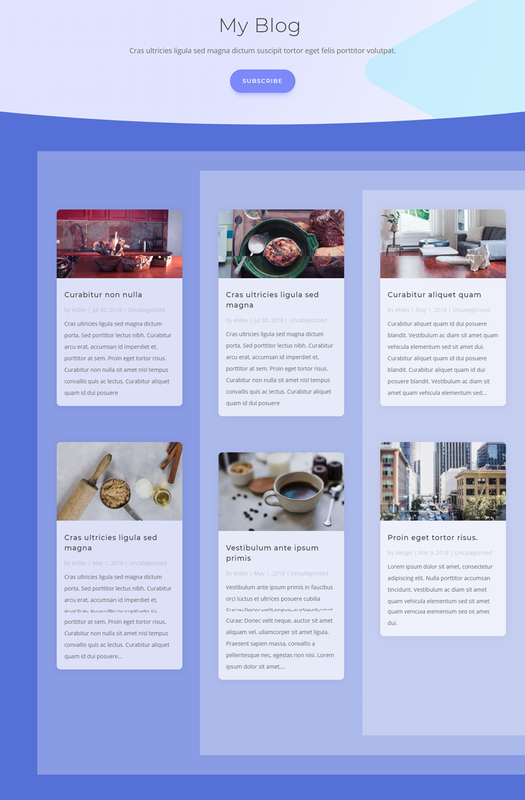 And, for those of you hoping to spice up your blog grid layout, hopefully this post will at least give you some design tips to do just that. 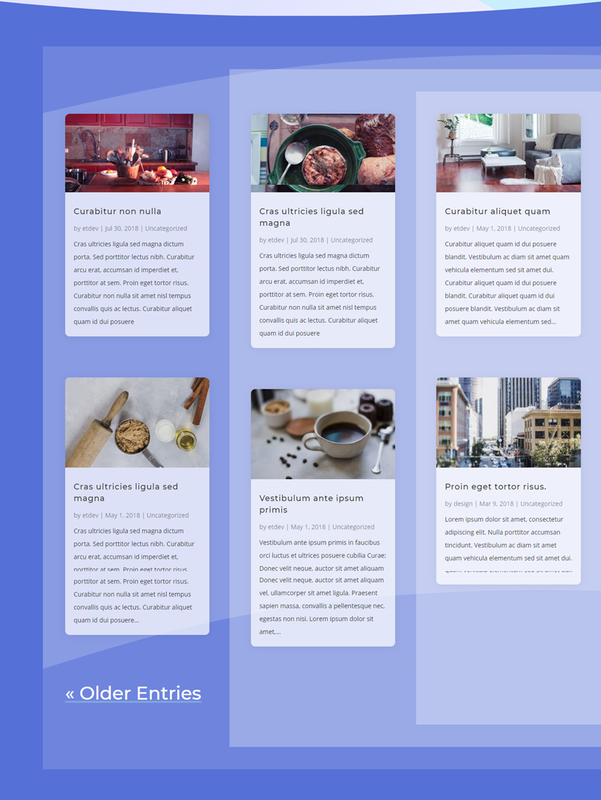 The post Upgrade Your Divi Blog Page with a Background Designed for the Grid Layout appeared first on Elegant Themes Blog.